The Unzippy is an adware (sometimes called ‘ad-supported’ software). Adware is a software that delivers advertisements and prompts intrusive advertising popups, while you surf the Internet. Adware may hijack the advertisements of other companies with its own. In many cases, adware will track your surfing habits and report this info to its creators. While your machine is affected by the Unzippy adware, the Safari, Google Chrome and Firefox may be redirected to various ads and unwanted web-pages. Of course, the ad-supported software may not cause damages to your files or MAC system, but it may display lots of intrusive advertisements. These ads will be injected within the content of pages that are you opening in your web-browser and can be varied: pop-up ads, in-text ads, different sized banners, offers to install an questionable software. The advertisements will appear on all web pages, including websites where previously you have never seen any advertising links. The worst is, the adware can analyze your surfing, and gain access to your privacy info and, later, can transfer it to third parties. Thus, there are more than enough reasons to delete Unzippy adware from your MAC. Therefore, the adware does not really have beneficial features. So, we suggest you delete Unzippy adware which causes annoying popup advertisements ASAP. This will also prevent the adware from tracking your online activities. A full Unzippy removal can be easily carried out using manual or automatic method listed below. Even if you have the up-to-date classic antivirus for Mac installed, and you have checked your machine for malicious software and removed anything found, you need to do the guidance below. The Unzippy ad-supported software removal is not simple as installing another antivirus. Classic antivirus applications are not developed to run together and will conflict with each other, or possibly crash Apple Mac. Instead we suggest complete the manual steps below after that use MalwareBytes Anti-Malware, which is a free program dedicated to find out and get rid of Unzippy adware which redirects your web-browser to unwanted ad web-sites. Run the utility to ensure the adware is removed. The ad supported software can alter your browser settings and reroute you to the web sites which may contain countless ads or various security threats, like hijacker infection, malicious software or potentially unwanted programs. Not every antivirus application can detect and delete ad supported software easily from the browser. Follow the step-by-step instructions below and you can delete Unzippy adware by yourself. 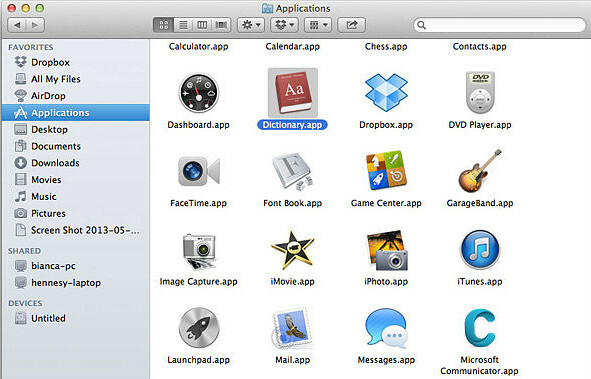 First of all, check the list of installed apps on your MAC system and remove all unknown and recently installed apps. If you see an unknown application with incorrect spelling or varying capital letters, it have most likely been installed by malicious software and you should clean it off first with malicious software removal utility like the Malwarebytes Anti-malware. Make sure you have closed all internet browsers and other apps. Next, remove any undesired and suspicious programs from Apple Mac using the Finder. Look around the entire list of programs installed on your MAC. Most likely, one of them is the Unzippy ad-supported software that redirects your browser to undesired ad web-pages. Select the dubious application or the application that name is not familiar to you and delete it. 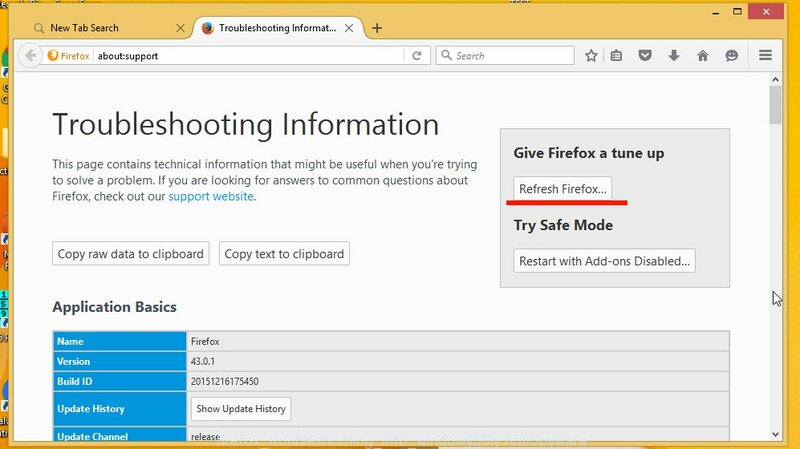 If the Firefox browser is re-directed to Unzippy and you want to restore the Firefox settings back to their original state, then you should follow the guide below. However, your themes, bookmarks, history, passwords, and web form auto-fill information will not be deleted. If you are getting Unzippy ad supported software, then you can try to remove it by resetting Chrome to its original state. It will also clear cookies, content and site data, temporary and cached data. However, your saved bookmarks and passwords will not be lost. This will not affect your history, passwords, bookmarks, and other saved data. Once this procedure is complete, your internet browser’s new tab, search provider and start page will be restored to their original defaults. The Safari reset is great if your web browser is hijacked or you have unwanted addo-ons or toolbars on your web-browser, that installed by an malicious software. First, click the “Security” icon. Here, select “Block pop-up windows”. It will stop some types of popups. 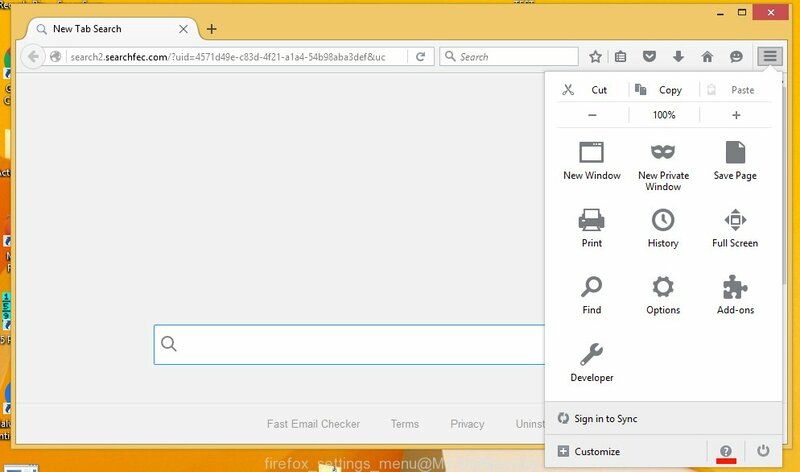 Now, click the “Extensions” icon. Look for dubious extensions on left panel, choose it, then click the “Uninstall” button. 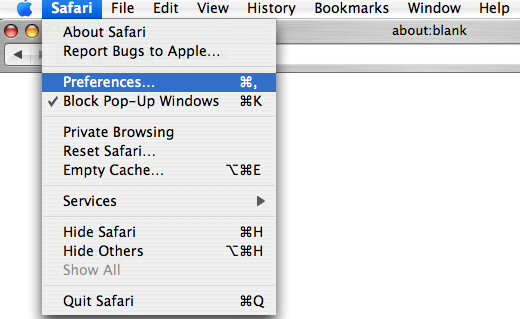 Most important to remove all suspicious add-ons from Safari. Once complete, check your homepage and search provider settings. Click “General” tab. Make sure that the “Homepage” field contains the website you want or is empty. Manual removal guide does not always help to completely remove the ad-supported software, as it is not easy to identify and remove components of adware and all malicious files from hard disk. Therefore, it’s recommended that you run malicious software removal utility to completely get rid of Unzippy off your web browser. Several free malicious software removal tools are currently available that can be used against the adware. The optimum solution would be to run MalwareBytes. Delete Unzippy manually is difficult and often the adware is not fully removed. Therefore, we advise you to run the MalwareBytes Free that are fully clean your MAC. Moreover, this free application will help you to delete malware, PUPs, toolbars and hijacker that your MAC system may be infected too. 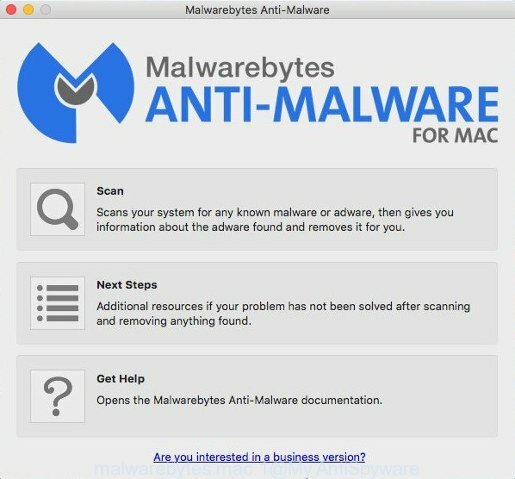 Click the link below to download the latest version of MalwareBytes for Apple Mac. After downloading is done, close all programs and windows on your MAC OS. Run the saved file. Follow the prompts. The MalwareBytes Anti Malware will automatically start and you can see its main screen as on the image below. Now press the “Scan” button for scanning your MAC system for the Unzippy that redirects your browser to annoying ad web pages. While the tool is checking, you can see how many objects and files has already scanned. After the scan is done, MalwareBytes Anti Malware will display a scan report. Review the scan results and then click “Remove Selected Items” button. The MalwareBytes Anti-Malware (MBAM) will begin to get rid of Unzippy which cause intrusive pop-ups to appear. By installing an adblocker program like AdGuard, you’re able to stop Unzippy, autoplaying video ads and remove a large number of distracting and undesired ads on webpages. After the downloading process is done, start the downloaded file. You will see the “Setup Wizard” screen. Follow the prompts. 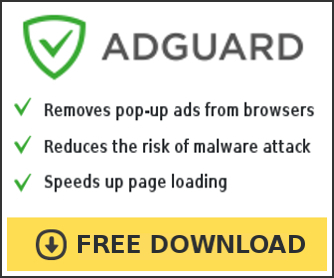 Each time, when you launch your MAC system, AdGuard will run automatically and stop unwanted ads, as well as other harmful or misleading web sites. Now your MAC should be free of the Unzippy adware. We suggest that you keep MalwareBytes AntiMalware (to periodically scan your computer for new ad supported softwares and other malware) and AdGuard (to help you block annoying advertisements and harmful web-sites). Moreover, to prevent any ad supported software, please stay clear of unknown and third party apps. If you need more help with Unzippy ad-supported software related issues, go to here.